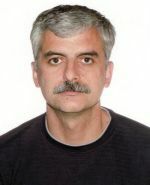 The Radio Amateurs of Canada Board of Directors has selected Gabor Horvath, VE7JH, as the recipient of the RAC Amateur of the Year Award for 2018. Congratulations to Gabor on receiving this national recognition for his many outstanding contributions to amateur radio. After a snow-cancellation for the February meeting, the March meeting made up for lost time with plenty of news including a membership update, preliminary results of the BC QSO Party, and a presentation by Mike VE7ACN on his April 2018 IOTA adventure in the Gulf of St. Lawrence. The Orca DX and Contest Club always welcomes new members. See who has already joined! Contest Corner THIS WEEK'S CONTESTS CQ MM Manchester Mineira Apr. 20-21 (rules). Ontario QSO Party Apr. 20-21 (rules). SP DX RTTY Apr. 26-27 (rules). BARTG Sprint 75 Apr. 28 (rules). QSO Parties May 4-5 (7QP | Indiana | Delaware | New England). SP DX Apr. 6-7 (rules). EA RTTY Apr. 6-7 (rules). JIDX CW Apr. 13-14 (rules). FT8 DX Apr. 13-14 (rules). CQWW WPX SSB Mar. 30-31 (rules). BARTG HF RTTY Mar. 16-18 (rules). RSGB Commonwealth (BERU) Mar. 9-10 (rules). ARRL International DX SSB Mar. 2-3 (rules). Post your scores on the 3830 reflector. More ideas and examples for the sturdy Heathkit workhorse. Paul VE7BZ's tutorials for doing them right every time.